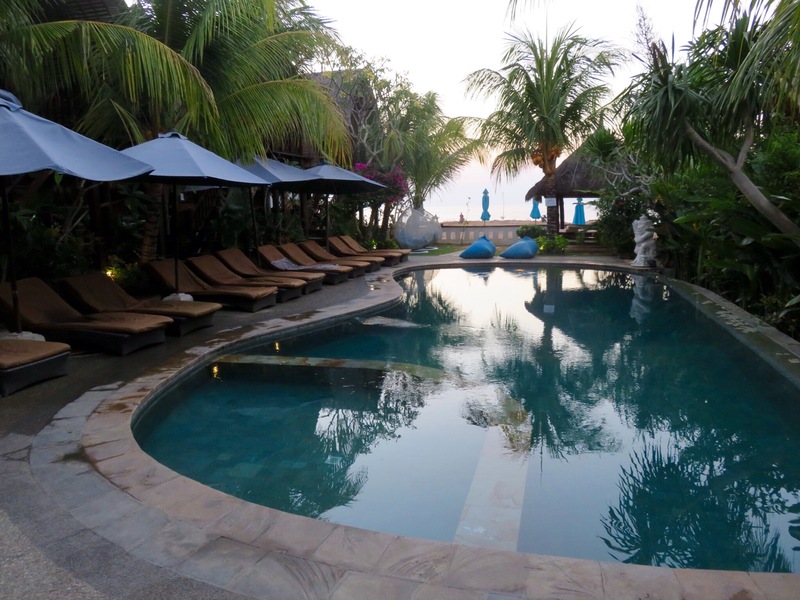 After Kuta, we knew we wanted to head South down to the Bukit Peninsula but we weren’t exactly sure where to stay. After plenty of Googling and reading my lonely planet book we decided to head to the beautiful Balangan beach and I’m so glad we did. Our trusty taxi driver, Freddy Kruger, picked us up from our hotel and drove us an hour to Balangan beach for $25 AUD. 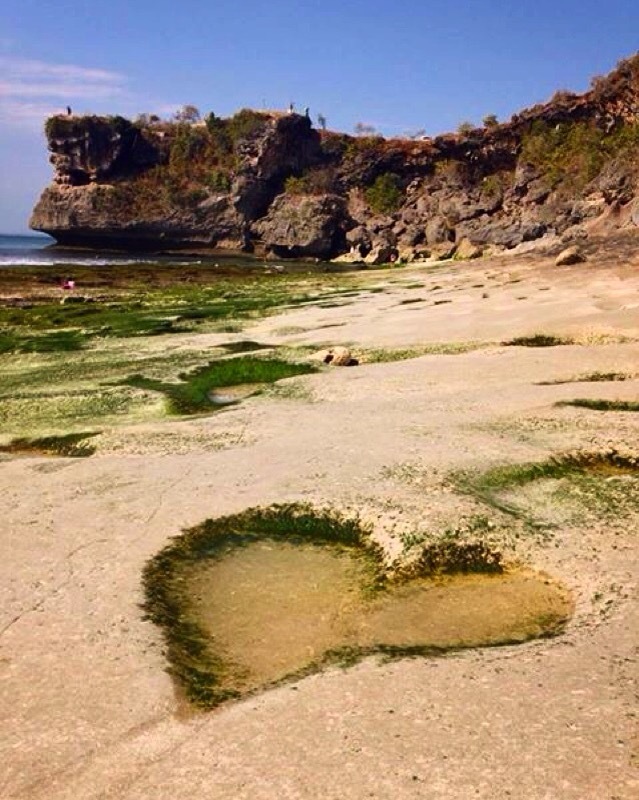 Balangan beach is a small beach surrounded by huge cliffs. The beach itself is rocky and full of reef so it can be a little tricky to swim at, especially at low tide but it makes for some pretty cool rock pools and photo opportunities. In one afternoon we saw four couples taking their wedding photos on the beach and one Wedding at sunset. It is also a great spot for surfing and for lazing on the sand. There isn’t exactly a town as such, just a few hotels and restaurants spread about. It was the perfect contrast from the busy, bustling Kuta we had just come from. This is a little more in the ‘flashpacker’ category but it is definitely worth the splurge. For $35 AUD a night at Balangan Sea view bungalows we stayed in a beautiful room with a huge four-poster bed and a view of the ocean. There was also a beautiful pool and a restaurant. The hotel was located right on a cliff with the beach below with some steep steps to reach it. It was the perfect location. If you don’t hire a scooter, your choices are quite limited as everything is fairly spaced out. The restaurant at Sea view bungalows was very reasonably priced with delicious food and decent portions. Food ranged anywhere between $3-$6 for a meal. I loved their Nasi Goreng. A 10 minute scooter ride down the road took us to our favourite cafe called Cafe la Vida. The pizza was to die for. 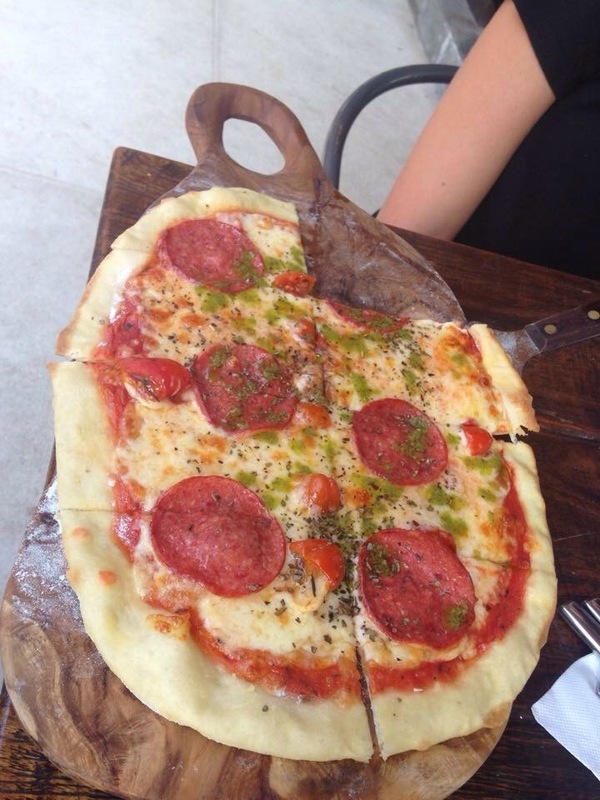 For $6 dollars you could get a delicious, gourmet pizza big enough to share and the iced lattes were some of the best coffee we had come across in Bali so far. 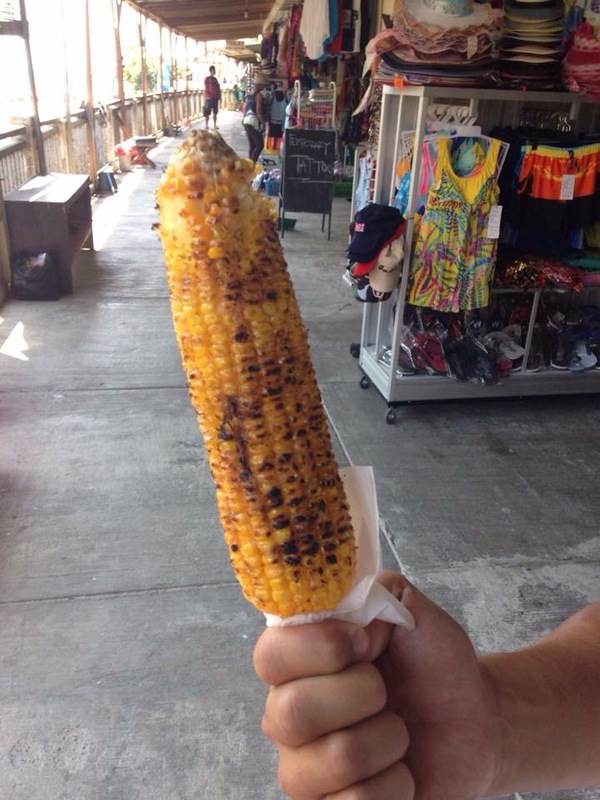 If you venture to Dreamland beach, you can get the most delicious corn on the cob ever for $1! Seriously, it will be the best you have ever tasted! 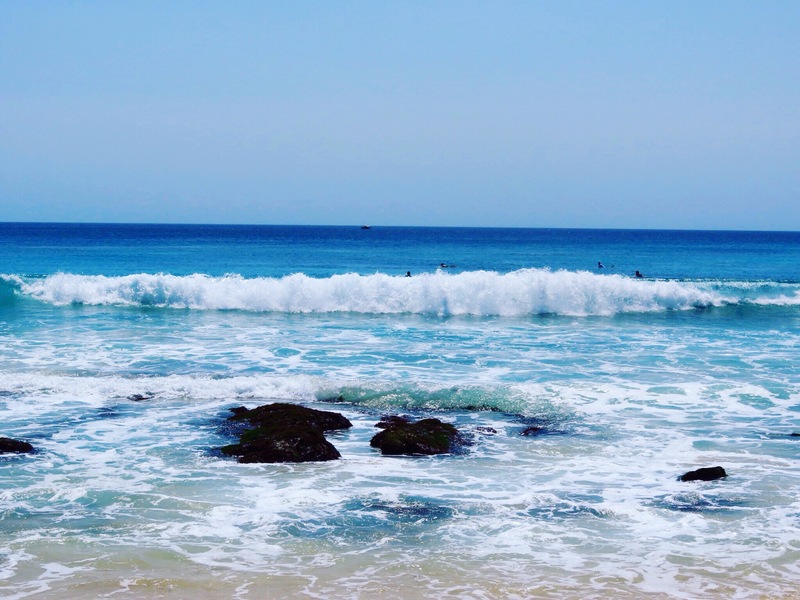 Balangan beach oozes relaxation and serenity. It is the perfect places to soak up the views, the sun and relax completely. 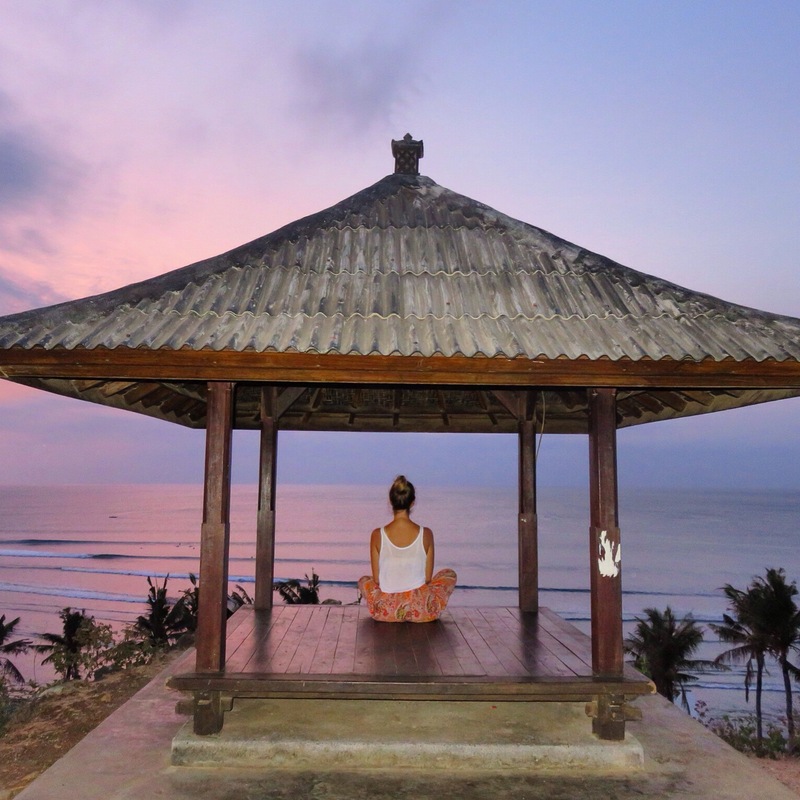 Every morning at 8:15am and 5:15pm in the evening you can do a yoga class on the beach run by Balangan yoga & love for a donation.The surf is also meant to be amazing so if you are a surfer, this place is for you! For $7 you can hire a scooter and drive on the quiet roads to the surrounding beaches such as Dreamland, Padang Padang and Bingin. They are all fairly close by and easy to reach. Dreamland was my favourite! 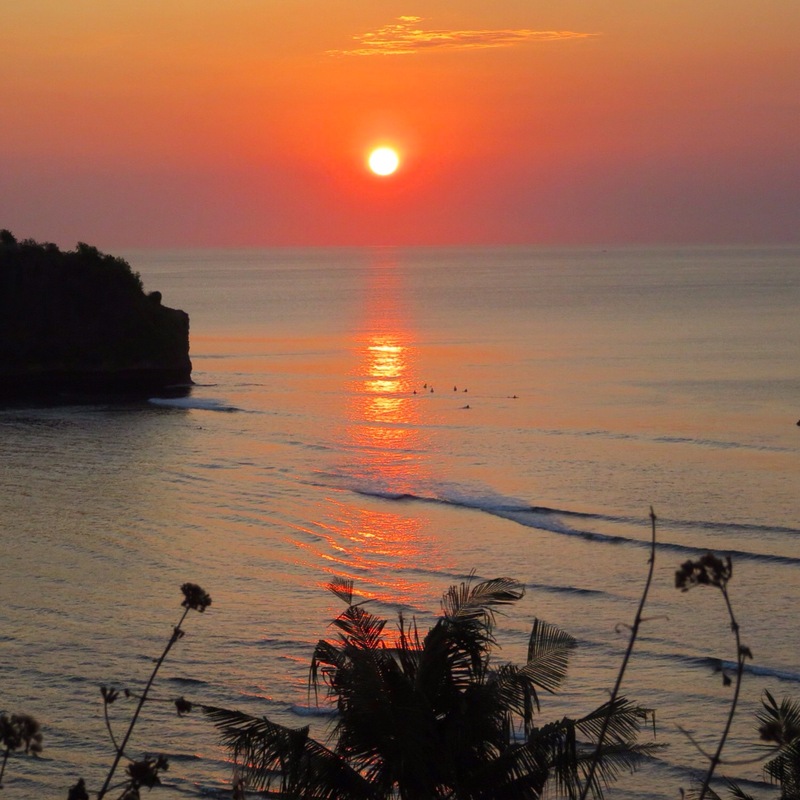 The sunsets at Balangan are spectacular, especially from the top of the cliff, we made sure we watched it every night. 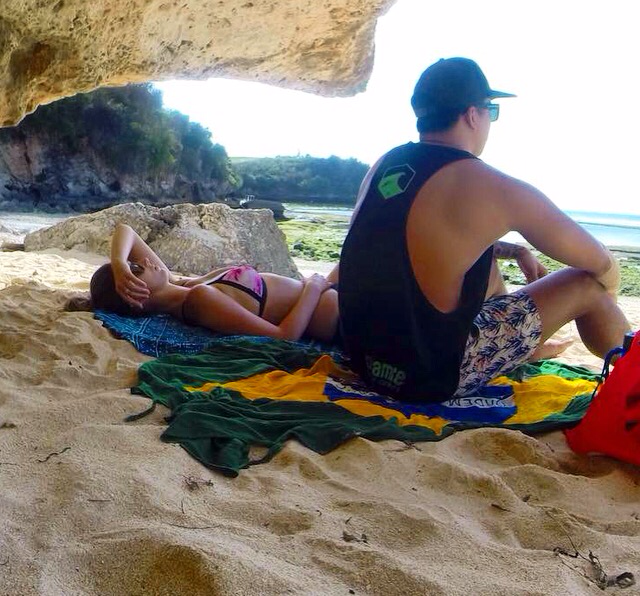 We stayed in Balangan beach for four days and it was the perfect amount of time to fully relax and really enjoy ourselves. I would love to come back here one day!